People say that everything is bigger in Texas…but Scout & Molly’s wants to make everything chicer! That’s why we’re thrilled to have a new boutique in beautiful Sugar Land. The city, southwest of Houston, is an idyllic escape from city life and is home to memorial parks, working ranches, and unique shops. Learn more about Scout & Molly’s Boutique at Sugar Land and how our friendly team can help redefine your shopping experience. Scout & Molly’s Boutique in Sugar Land is conveniently located at First Colony Mall, just across the road from Edward Mercer Stadium, next to Black Walnut Cafe. Spend the day at the shopping center, and don’t forget to stop by for customized styling services and a laid-back shopping experience. We’re always looking forward to helping our customers find looks they love. Visit us in Sugar Land today for the hottest outfits, the coolest labels, and friendly fashion tips. Our in-house stylists are dedicated to YOUR happiness. We love our customers, and we’re happy to help you pick out the perfect accessories for a new dress, find a flattering pair of jeans, or help curate a capsule wardrobe for the work week. Our professional fashionistas love what they do, and they’ll do everything they can to make your shopping experience fun, low-stress, and productive. In fact, it’s our mission to give shoppers honest opinions, helpful suggestions, and friendly advice. That’s just one way Scout & Molly’s is different from any other women’s retailer. Do big department stores and online retailers leave you feeling overwhelmed with choices? Our buyers hunt for the best pieces so you can easily find what you’re looking for. Choose from popular brands like Alexis Bittar, BLANKNYC, Spiritual Gangster, AG Jeans, or BB Dakota, and check out items from up-and-coming fashion labels. 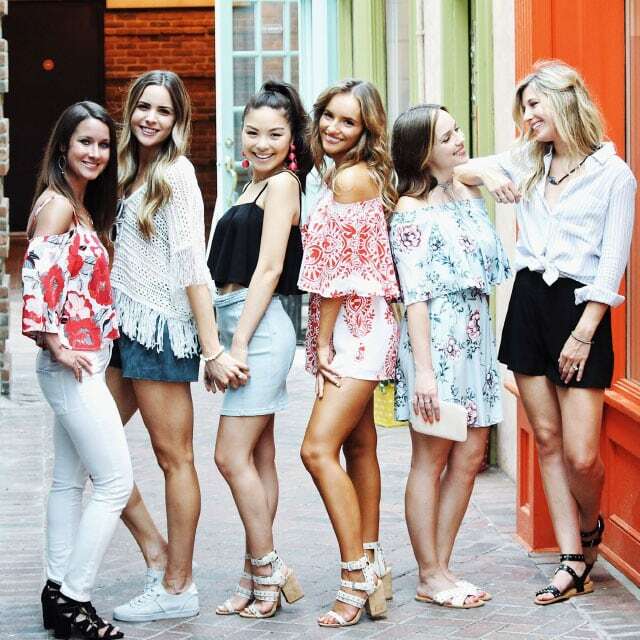 No matter what your personal style is, Scout & Molly’s Boutique in Sugar Land has something for everyone. And since our buyers are always on the hunt for the latest and greatest items in women’s fashion, make sure you stop by the store often to check our new styles!